of highly experienced Personal Injury lawyers, Curd, Galindo & Smith, L.L.P. serves Southern California injury and accident victims from offices in Long Beach, Los Angeles and Orange County. Our Personal Injury and accident lawyer team is highly specialized: we represent only victims and those who cannot, on their own, challenge big corporations and the government. We exclusively represent individuals, families and small businesses. We aggressively pursue our client’s best interests, taking on insurance companies, big business, police and the government. At Curd, Galindo & Smith we provide outstanding legal representation to those who have been injured in an accident or suffered harm due to the negligence of a third party in Southern California. We have the experience, resources and track record to take on the biggest cases and get the best results. $1,180,000.00 Verdict (Brain injury due to US Postal van accident) $2,300,000.00 Settlement (Child nearly drowns in neighbor's pool) $2,700,000.00 Verdict ( dangerous roadway maintained by city ) We have the experience, resources and track record to take on the biggest cases and get the best results. are among the leading causes of injury and death in California and across the United States. If you have been involved in a car accident in Southern California, you may be entitled to significant financial compensation for your losses! Victims of auto accidents are entitled to compensation for property damage, medical bills, lost wages, pain and suffering, and for permanent injury or disfigurement. If you have sustained injuries, contact our Southern California car accident attorneys will make sure you and your family are taken care of in this trying time. Did a Negligent Driver Cause Your Auto Accident? If the other driver was the cause of your auto accident, by drinking and driving, texting or talking on a cell phone, or aggressive driving, you are entitled to pursue financial compensation by filing a claim against the other driver’s liability insurance policy. We can help you create the strongest-possible claim by gathering evidence to prove fault in the case, preparing your claim, and representing you with the insurance company. In the event they refuse to pay you the amount that you deserve, we may encourage you to take your case to trial in pursuit of a jury verdict in your favor. VIDEO TRANSCRIPT – If you’ve been injured because of someone else’s wrongdoing or negligence, you know how aggravating and stressful it can be to deal with the situation alone. Hiring an experienced personal injury attorney can make a huge difference and can help you get the compensation you deserve. The experienced attorneys of Curd, Galindo & Smith, L.L.P. have helped clients like you in the Southern California area for over 50 years with personal injury claims and pride themselves in offering skilled and efficient service. Call today to schedule your free consultation. 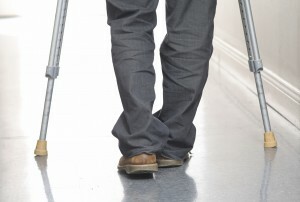 If you have been hurt through no fault of your own, you may have a personal injury claim. Personal injury cases attempt to recover financial damages from the negligent party to compensate the accident or injury victim for their injuries. While money can never make up for the pain and suffering from a severe injury to the victim and their family, financial compensation can often relieve the financial stress that often results from an unexpected accident or injury. The California personal injury lawyers at Curd, Galindo & Smith can find you the financial and medical resources you need while you focus on your physical and emotional your recovery. Personal injuries are often the result of the actions or negligence of and individual, company or government entities. Personal injury claims most often stem from traffic accidents, medical malpractice, workplace accidents or wrongful death. In fact, anytime you are injured and it is no fault of your own, you may have a personal injury case. When your personal injury claim is presented in a court of law, you need only prove that the other party was both liable and negligent for you to recover financial compensation. How Can a Southern California Personal Injury Lawyer Help Me? Personal injury lawyers are expert at helping accident victims and victims of negligence or wrongdoing get the support they need for lost wages, medical expenses, and other financial damages as a result of a traumatic incident. Unfortunately, it is far too common for auto negligence and accident victims to be denied adequate compensation for their medical bills and other financial losses from the people, organizations and their big corporate insurance companies. A Southern California personal injury lawyer can make all the difference. 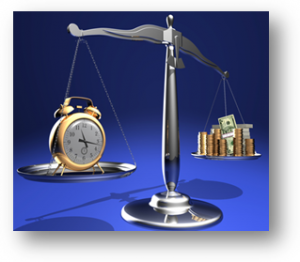 Time is Not on Your Side – Big organizations and/or the insurance company that you must work with, has all the time in the world. You to not. The insurance company knows that your medical bills are piling up; know that you’re inability work means your financial situation may be getting dicey, and will often present you low-ball offer on the chance that your desperate circumstances will force you to accept it. Our skilled and experienced personal injury attorneys who handles cases just like yours each and every day can advise you on the fairness of any offer you are contemplating and explore the real value of your claim if you chose to file a lawsuit instead. By preparing each case as if we are preparing for a jury trial, our clients are better-positioned at the negotiating table. Big corporate insurance companies representing their policy holders who have caused our clients harm will SUDDENLY “perk up” and seriously discuss settlement money. Personal Injury lawyers who have prepared a strong case as if ready for a jury trial will consistently obtain the largest possible settlements without actually going to trial. Big insurance companies will often agree to substantial monetary settlements rather than roll the dice in a courtroom where they might face a large jury award. If you have been seriously injured, we encourage you to call us today for your free, confidential consultation. We invite you to come to our office or have us come to you for a free case evaluation to learn whether you have grounds to sue for monetary damages and to find out how much your personal injury case may be worth. When you hire the Southern California personal injury lawyers to represent your claim, you send a strong message to the insurance company that you are determined to recover fair compensation for your losses. Personal injury lawyers help their clients level the playing field. Accident victims are routinely steamrolled by insurance companies that are programmed to deny or minimize the real value of the claims they receive. Accident victims should not be victimized a second time by powerful insurance companies. Don’t let this happen to you. 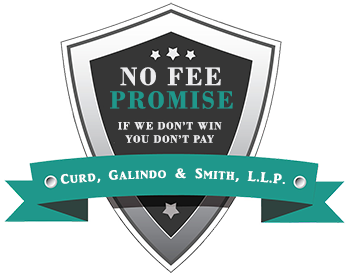 Instead, hire Southern California Personal Injury Lawyers, Curd, Galindo & Smith, to fight for your right to receive adequate payment for your medical expenses, lost income and pain and suffering. 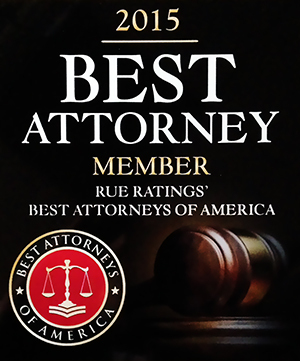 We always attempt to negotiate a settlement out of court whenever possible, but we do not hesitate to take our clients’ cases to a jury trial when necessary to seek the best possible financial award. Whether you prefer talking on the phone, coming into our office in Los Angeles, Long Beach or Orange County, –OR– you need us to come to where you are (home, work, hospital), please give us a call at (800) 300-2300 to schedule an appointment for a free consultation! 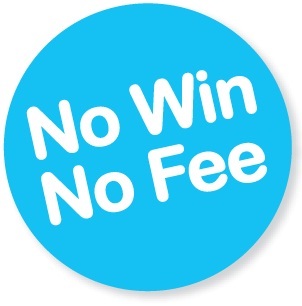 Accident injury cases are handled on a contingency fee basis – No Win — No Fee!